By keeping the track of the latest market trends, we are engaged in manufacturing an exclusive range of Dimmer Winding Machine. - Suitable for winding two bobbins at a time. - AC 2 H.P. motor with AC Drive. - Pre-set counter meter for length. 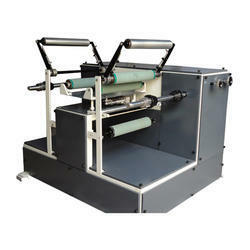 Dashmesh Jacquard and Power Loom manufacture Prin Winding Machine. 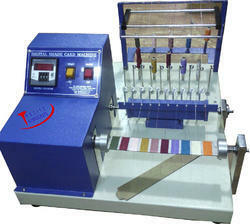 The 'Innolab' Shade Card Winding Machine consists of a set of grips between which the card is held with the help of knurling bolts. There is an arrangement to rotate both grips at a time.